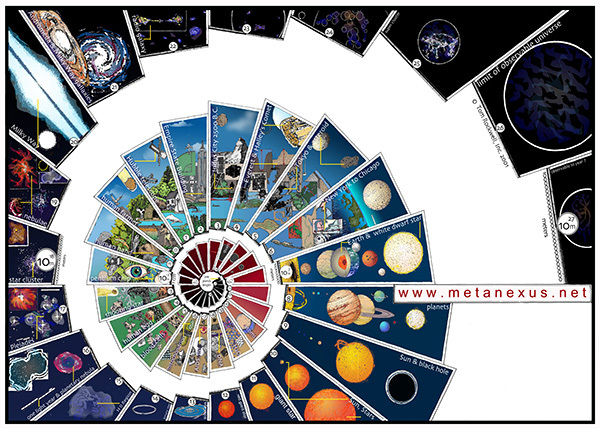 At a recent event, I chatted with an executive of a major pharmaceutical company. While interested in Big History for its own sake, she couldn’t quite figure out why her company would be interested in it. After all, publicly traded corporations are required by law to act in the best interest of their shareholders. Corporate charities in such circumstance must do good and well, hence the ubiquitous branding of corporate philanthropy. Why should Big Pharma invest in Big History? My answer is in the form of a warning label I imagined attached to all pharmaceutical products. The effects of drugs and medical therapies can vary widely among individuals. To understand how drug effects vary among populations, you must understand something about genetics, cell biology, biochemistry, physiology, epigenetics, and environmental factors, including psycho-social environments. These complex factors can positively or negatively impact the intended medical benefit of using this drug as prescribed by your doctor (or any other medical therapy you may try). All pharmaceutical products are rigorously tested in biochemical laboratories, animal models, and FDA approved human trials. By taking this product, you agree to be part of an ongoing drug trial. We cannot guarantee that this medicine will not have undesired side effects, including injury and possible death, now or in the future. We disclose the known side effects and risks about this product on our website, where you must register before accessing this medicine. All medicines should be taken as instructed under the supervision of your doctor and pharmacist. First, a pharmaceutical company could likely then be sued only for gross negligence or fraud. Any other kind of damages lawsuit would probably no longer hold up in court. Trial lawyers might not like this, but we would all benefit. To the best of their ability, with the best of science, and at great upfront time and expense, Big Pharma’s business is making the world healthier and better. 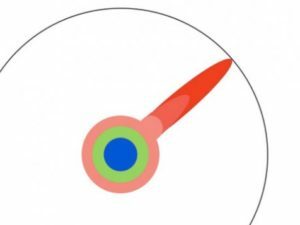 Second, it would improve the ongoing study of drugs, by better tracking interactions, benefits, and risks from more individuals over longer periods. Big Pharma needs Big Data to better serve us. Medical transparency, presumably managed by the NIH or FDA, offers the possibilities of huge improvement and innovation. 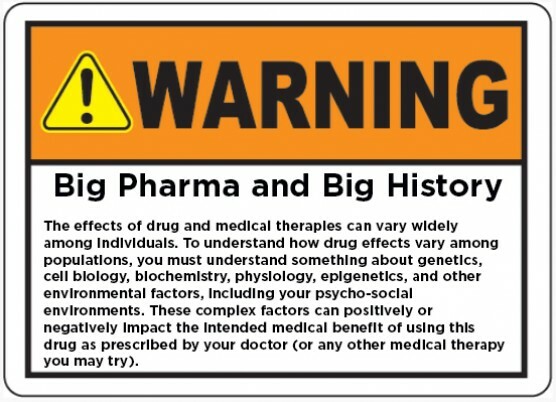 Third, my generic warning label places Big Pharma front and center in promoting Big History, which presents concepts of genetics, cell biology, biochemistry, epigenetics, and more in a narrative that’s easy to understand and remember. We would all be much more informed and responsible stewards of our own health and consumers of health care. Patients, families, lawyers, juries, judges, politicians, physicians, shareholders—all of us, really—need to understand the bigger picture in order to evaluate the little pills. 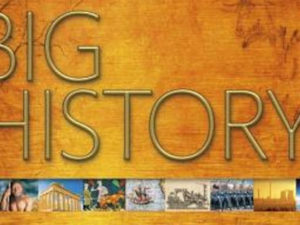 Big History also covers the history of humanity, including the spread of diseases and the role of modern medicine in greatly increasing the quantity and quality of human life. Big Pharma is one of the big heroes in this chapter of Big History and an essential component of the defense preparedness of our species in the coming centuries. Big History is great PR for Big Pharma and vital knowledge for their consumers. 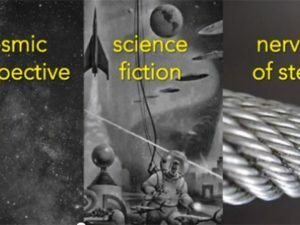 Fourth, greater exposure to Big History could help inspire the new generation of students to more advanced studies in STEMM—science, technology, engineering, math, and medicine. Without more of these highly trained professionals, there will be less innovation in the pharmaceutical industry.